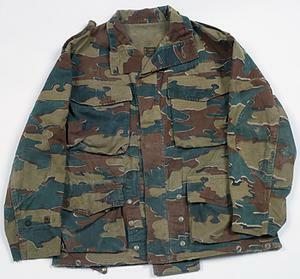 smock single-breasted four-pocket combat smock made of lightweight cloth material, printed with dark green and light brown bold shapless swirls on a khaki field (some portions of the coloured swirls are edged with a white border). 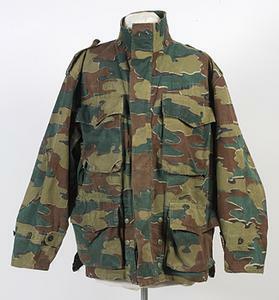 The pockets are bellows style and there is a cloth tailpiece attached to the rear skirt. 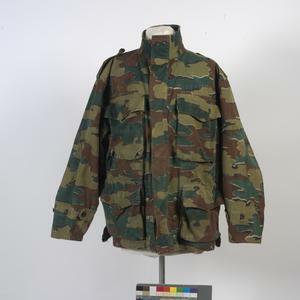 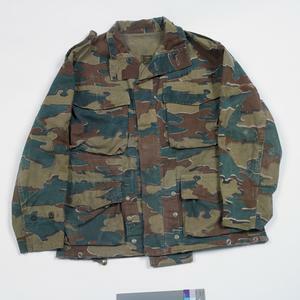 Belgian airborne forces camouflage smock. 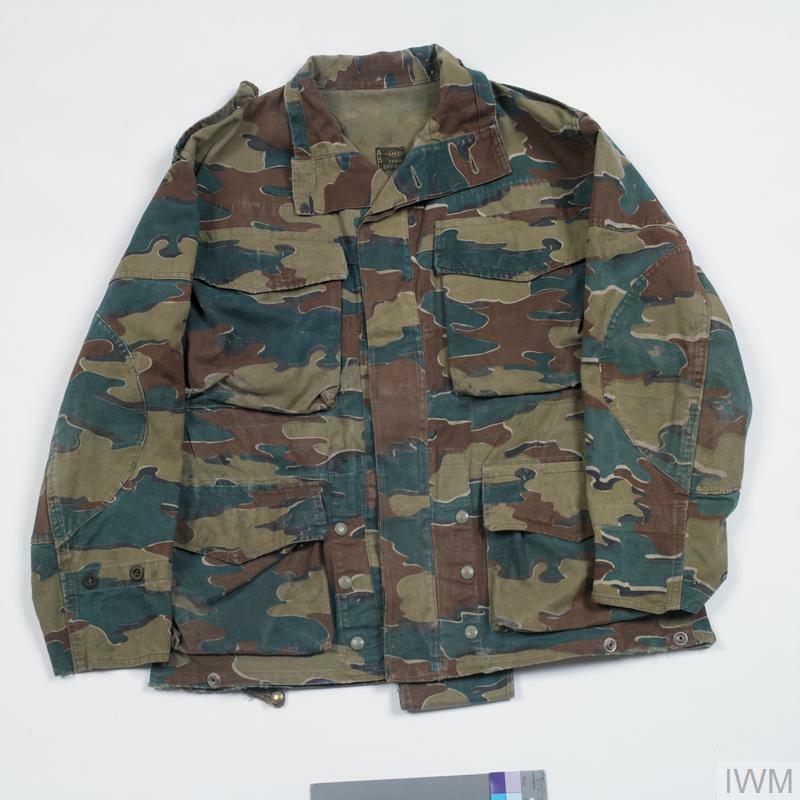 The 'jigsaw' pattern camouflage was adopted by the Belgian military from 1958 and primarily used by parachutists and special forces, however in more recent times has been adopted on a much wider scale of issue.